Russia and car crash, it must be the first time we see these two words in the same phrase, isn't it? 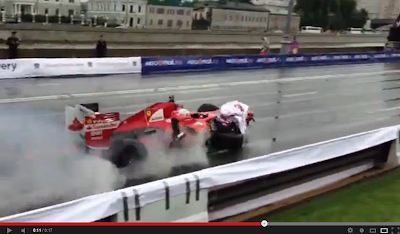 During a F1 event held by Ferrari in the wet streets of Moscow, the F1 driver Kamui Kobayashi managed to crash an F60 Formula 1 car while attempting a burnout. The car simply loses the grip and smashes into the barriers and to make matters worse, it loses a wheel and the engine catches on fire. I know that it's hard to dig but I'm sorry, this time the accident has been filmed by the crowd and not from a dashcam. 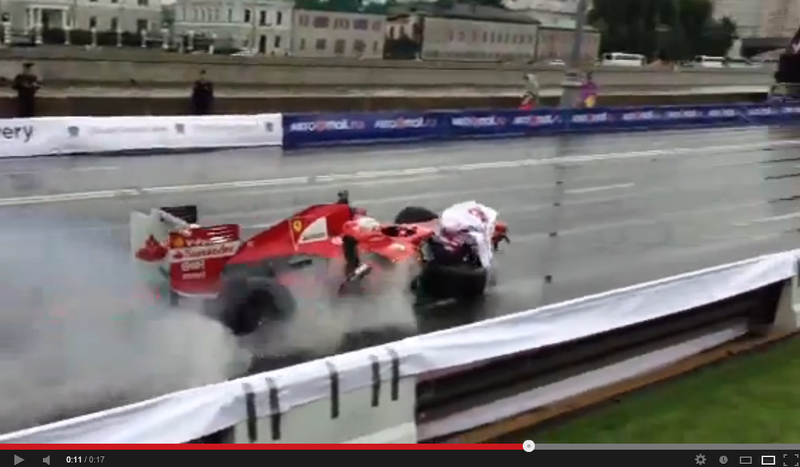 Watch a flying Bull - literally! A velvet Furrari - The new trend?